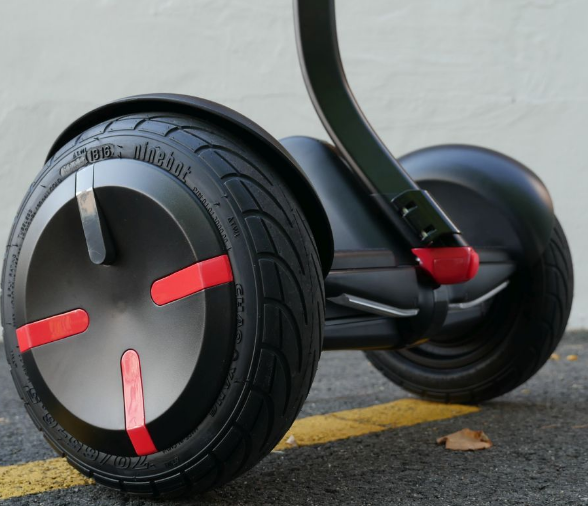 The Segway mini pro is expensive but is one of the most anticipated transportation gadgets in recent years. Although there are plenty products already flooded in the market but demand of this is still increasing. This design is somewhere in between a full-size Segway and a hoverboard. Combining this two, it provides one of the most stable riding experience. I will come back to this point later in this article. Who is this designed for?? If you are in the market who is looking for an attractive looking self-balancing as well as a hands-free transporter, then the Segway Mini pro is one of the top choices for you. 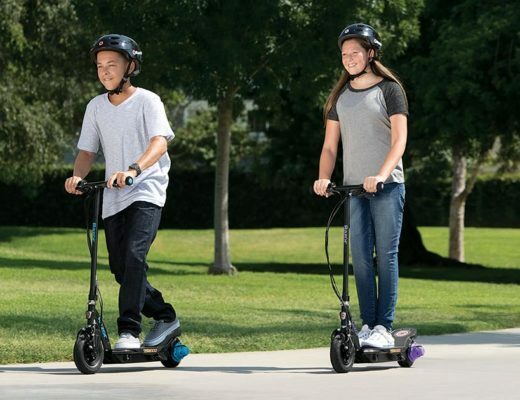 Unlike the tradition self-balancing scooters, this product is specially designed to enhance usability and perform well in many situations. Segway has created a unique product combining in between a traditional hoverboard and their top line Segway transporter. There is a platform where you can stand to operate the scooter. There is an adjustable stalk which sits between your legs and can be controlled by your knees. Overall the design concept was unique and mainly focus on user-friendly so it provides a top-notch performance. The product is 21.5 inches wide and can be extended up to 34 inches in height. 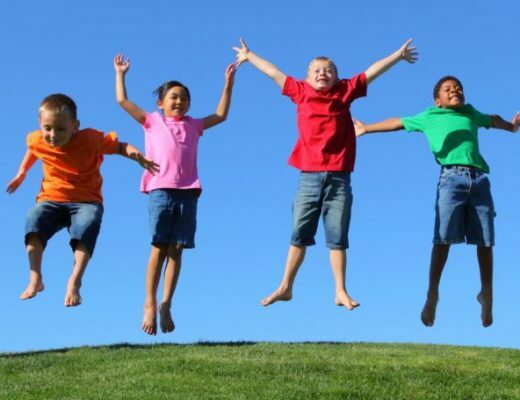 It can carry people from 85 to 220 pounds which will suit people from 5 to 6 feet tall. Because it comes with adjustable knee stalk, it helps to use this scooter comfortably for most people. 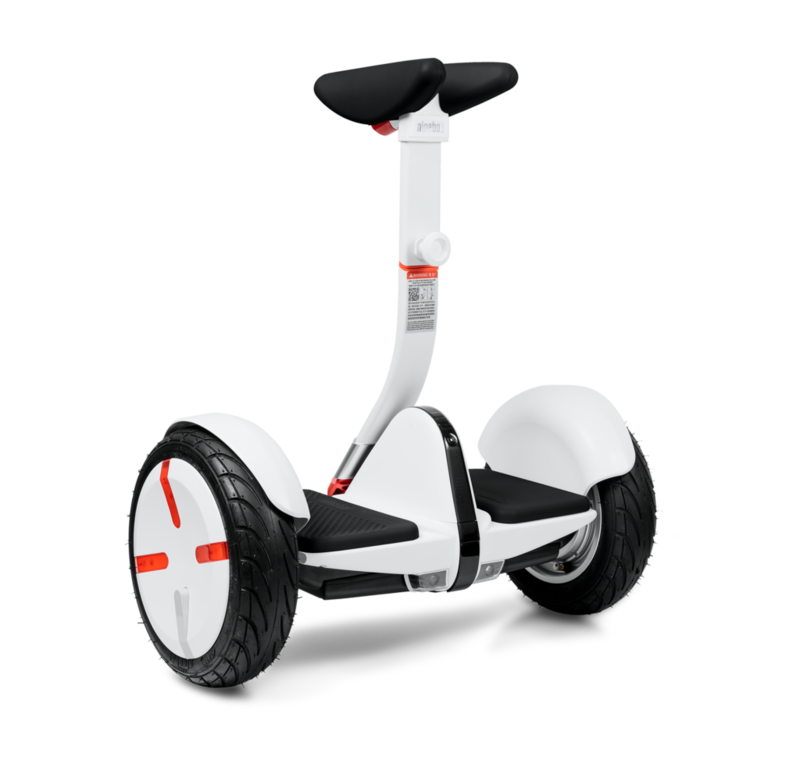 Segway is providing this product two colors which give you a bit more flexibility. Personally, I think white color one will look great and quite eye catching. Also, the red finishes on the stalk and wheels give this a unique effect.On the other side, the black one is just plain and straightforward with some glossy curves. Let me list a few specs for your better understanding. Segway has been using pneumatic tires in most of their products. This type of tires can resist shocks quite well and perform superbly in various challenging terrain and environment. The tires are air filled, so it helps to provide the maximum comforts to the rider. Also, extra grip on the tires ensures smoothness while riding. App control with inbuilt anti-theft features. Segway is one of the leading innovators in portable transported industry. So with this particular product, Segway used their innovative technology as well. This product is customized to use through an app. The app is smartly designed and let the user change many useful features of the transporter. The app can control basic features like changing led lighting colors to more advanced notifications like battery condition and charge time etc. And the best feature of this app is a custom made program which enables the user to lock the scooter with an anti-theft alarm. So by any chance, if your favorite Segway is under threat by a thief then this app will activate and alert on your smartphone. This app is unique and not only provide you a peace of mind but also take care of your scooter safety. I’m going to be reviewing the Segway mini pro, and I’m going to be comparing it to the boosted board. About a year ago Segway, a US company merged with ninebot, a company based in China and they have started to release some new personal mobility items or products with the gyroscopic design that Dean came in originally invented with the Segway that you’re probably familiar with. So the Segway mini-pro uses that technology so when you turn this on it stands on its own without you having to lean it against anything even though it has two wheels. Also, please don’t call this a Hoverboard. It has nothing to do practically with those cheap hoverboards that catch on fire. This is more of a professional mobility device and its a lot better built in much higher quality than those. Even though this is made in China. You just can’t compare because this thing is so much better. Gyroscope Design: First of all, I mentioned it uses a gyroscope design and you maneuver it and turn it with the little bar that’s in the middle. 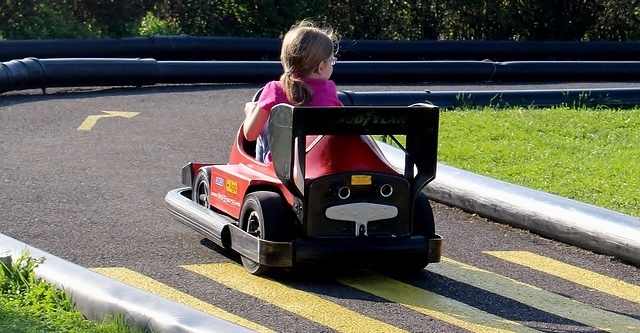 You just basically lean into that bar to turn left or turn right. And then to go forward and backward you can just basically lean. It’s very intuitive. It only takes like two minutes to sort of get the hang of it. It does use an app that you install on your iPhone or an Android device. When you first get it, you have to go through a couple of steps as a couple of exercises before you can really use the Segway mini pro and it guides you through that. So it’s really quick to learn. The first half mile or so, it limits your speed to around six miles an hour. Once you go half a mile, it figured that you’d got the hang of it and then you can go full speed, and the full speed is 11miles an hour on this, and it has a range of 14 miles. Speed: Regarding the speed, that’s half speed of the boosted board. Certainly, you’re not going to get in nearly the speeds that you’re going to get like on a boosted board. But this also has a bit better range. It has a 40-mile range whereas the boosted board only has like about 7 or 8-mile range. Now, boosted board is coming out with their version 2, an extended-range version with a bigger battery will be able to get like 2-mile range. That’s definitely a plus, and that’s coming in months. Maneuverability: The Segway mini pro is more maneuverable than the boosted board. You can ride it pretty much anywhere like even inside. You can go up and driveways down hallways into an elevator out of elevators etc. You just can’t go up and down stairs obviously. But, you can turn on a dime then you can just turn around in place and stuff like that. It works pretty well regarding that. It’s just a lot more maneuverable. It is also more suited to a lot of the paths, especially that have things like a little bit of sand on them or gravel, even pedestrians paths that are kind of busy. Because of the design of the Segway mini-pro being more maneuverable and also having a better ground clearance and also having an air-filled, rubber tires, it can enjoy a lot more different types of terrain than the boosted boards. The ground clearance on the boosted board is not very good. You’d go over like a little crack on the board, and it would end up scratching the underside. That is just really a non-issue on the Segway mini pro. It’s much higher up regarding the ground clearance. It’s not hitting things like little cracks in the sidewalk. Also, it has the rubber tires, so it is really more suited going the distance on rough roads. You can even ride it off road a little bit. It is not designed for that but, you could ride it. Due to the fact, it has actual tires. Overall It is perfect for just cruising around and enjoying the outdoors. It doesn’t go fast as regarding the top speed. But, I would have to say it is just as fun as the boosted board. Although, you do not get much of the adrenaline rush. Because the top speed is not as much, but you can go more places and go further on the Segway Mini pro than you can with the boosted board. It’s more comfortable to go long distance. Traveling a longer distance on the boosted board will probably be tired your feet out a little bit more. They are just different animals. It’s hard to compare the two. And I thought it would be kind of informative to compare them for people who might want to get both or ought to consider which one to get. 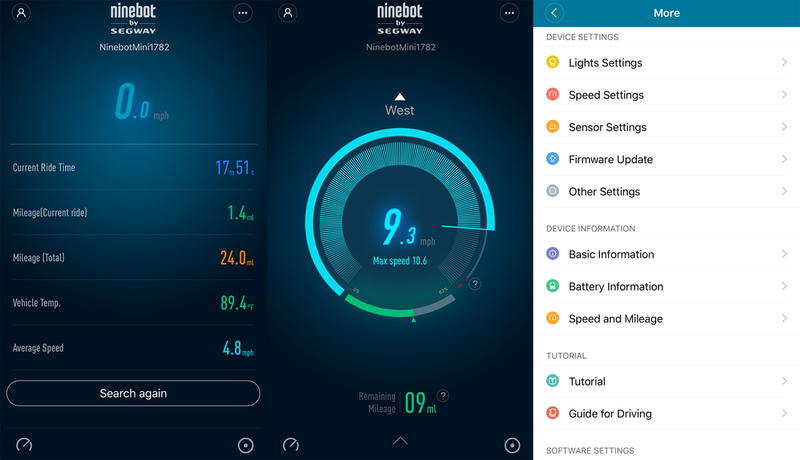 The other thing is the Segway mini pro has a much more full-featured app, and it is really a well-designed app that syncs really well with the device. Also, the 7400 houses LED lights on it are well as the LED headlights on the front and using the app you can totally customize those. The LED lights on the back are multicolorLED. So you can actually change the color of those lights on the back any color you want. The Segway mini pro has the headlights on the front will only turn on if it’s dark enough like if you’re riding it at night. But, during the day they will turn off automatically. There is a sort of a lot more custom ability and options that you can set on the Segway mini pro. >>Some of the cons of the Segway mini pro vs the boosted board is the Segway is made in China where the boosted board is made in the USA. Also with the Segway mini pro, there is an annoying beeping sound. And it also automatically is kind of slows you down as you approach the top speed. >>I also think Segway mini pro top speed could be a lot higher. It has a top speed of 11 miles an hour but I think, the design and platform of it really can support like 15 to 18 miles an hour maybe even 20. Segway might change that with firmware as they update their firmware regularly. Top speed is 11 miles an hour probably safer, but it is just a little bit slow. When I am going like 10 miles an hour, it feels like I could go a little bit faster. That’s considerably fast on a path as a bike path or the sidewalk. But once you’re on the streets and there are cars like whizzing by you, you will wish that you’re on the boosted board because it was supported to go faster. >>The Segway mini pro weight is 20 pounds, and it’s really quite heavy. It does have this kind of feature that I call like a walk with the dog where you can pull out this sort of little handle, and it has a power assist system. It will actually use the motor to kind of go with you. If you ever have to lift it like go upstairs are lifted into a car or something, 28 pounds feel like pretty damn heavy and you’re not going to be lifting it often. So that’s definitely one negative. Boosted board is only about 15 pounds, it almost half as much. But with all the motors and the gyroscopes inside of it, it is probably to be expected that it would have to weigh that amount. >>Also on Segway mini pro defender seem a bit cheap to me. They’re really thin plastic and they probably did that for weighing less. They also vibrate a little bit when going fast and your foot is right up next to the fender or touching it. You will hear that plastic buzzing. Also riding the Segway mini pro, you will don’t look as cool as riding the boosted board. Segway seems cooler than having your feet side by side. 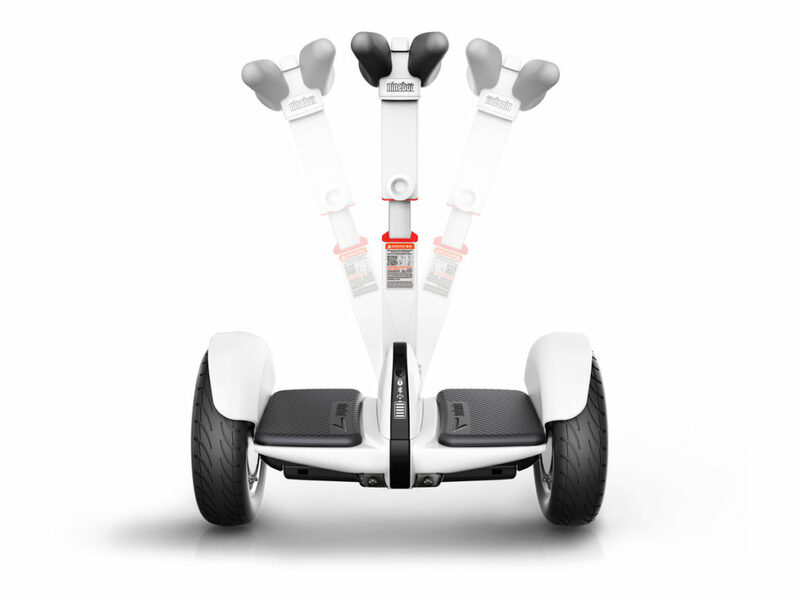 The Segway mini pro comes in both a black version as well as a white version. They really did a good job with the design of it. It seems like a sturdy and it’s very comfortable to ride. I think on balance it looks pretty cool too. So overall, I have to say the semi-pro is really fun. Did somebody ask me the questions of is it as fun as the boosted board? Both of them, in my opinion, can be used to commute with and I think they’re equally as much of a hassle to take with you to carry or store. Segway comes with power assist mode, which helps a bit. I am actually planning to buy a Hover board. But more or less there are plenty of products to look at. Searching for the new product and with a reasonable price in the internet. This is such a good one to look at and thanks for you specs and details. It came really handy. Appreciate it. Keep it up. If you have the budget then you can go for Segway mini pro. It’s not only manufactured by a reputed company but also has critical safety features. You will not regret it. Otherwise, you can see my other top list for Best hoverboard here.